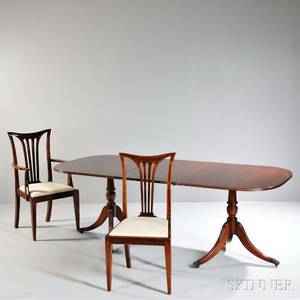 English, 20th century. 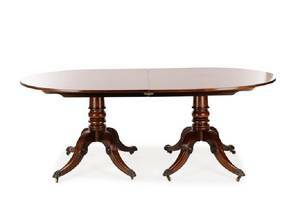 Regency style twin pedestal mahogany banded extending dining table, the rectangular reeded top with rounded ends raised on twin turned standards, each issuing three downswept reeded legs terminating in brass paw caps and casters. 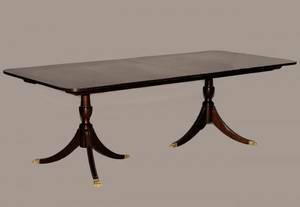 Height 29.75", width 77.5" (without leaves), depth 48". 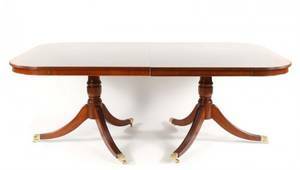 Table comes with two additional leaves each measuring 23.75". 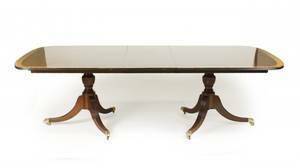 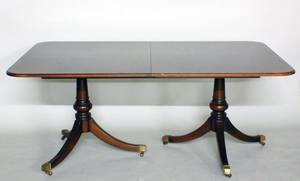 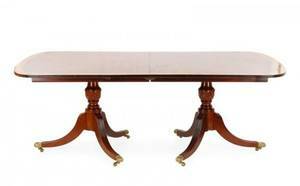 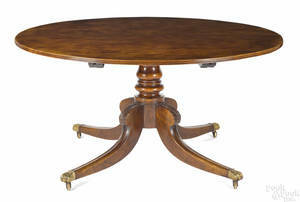 Regency-style mahogany pedestal dining table, early 20th c.